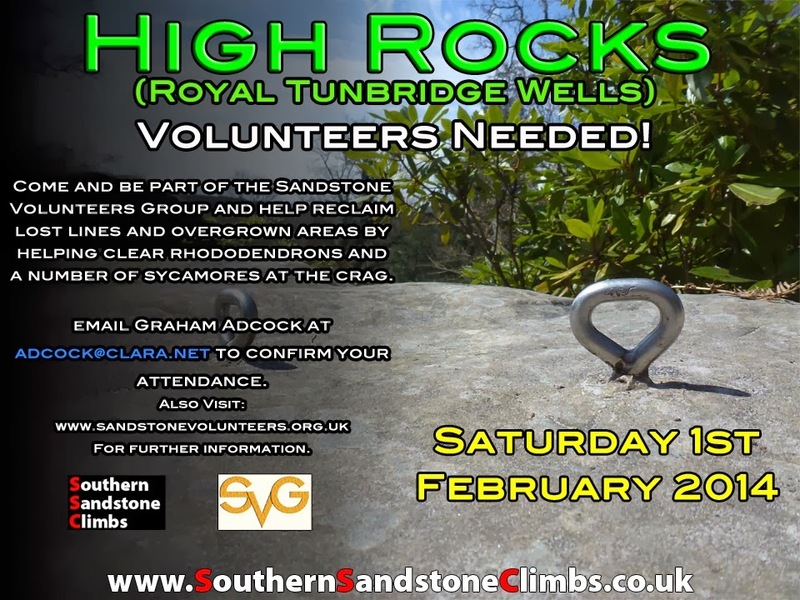 Confirmation that The Sandstone Volunteers Group will be at High Rocks on 1st February 2014 from 10am. We must cut sensitively and not leave the crag edges too exposed, so please find out what needs to be done before starting work by finding Graham Adcock. The most useful tools to bring are bow saws, long handled pruners/loppers. The majority of the work will be cutting Rhododendron. Please email adcock@clara.net to let the SVG know you are attending.